In the Diabetes Care study results, produced at the Harvard T.H. Chan School of Public Health, food frequency questionnaires of 42,096 people suggested that high magnesium intake is strongly associated with reduced type 2 diabetes risk. In fact, the chance of developing type 2 diabetes was shown to be 4 percent lower with each additional 50 mg per day of magnesium intake. Those with the highest magnesium intake had a 15 percent lower risk of developing type 2 diabetes compared to participants with the lowest intake. Our ancestors had a pretty easy time getting plenty of magnesium. They drank from mineral-rich rivers and lakes and ate food grown in fertile soil. These days, purifying our water of contaminants can also strip it of nutrients like magnesium, and many of our crops are now grown in soil significantly depleted in minerals. Of course, quality food sources of magnesium are always a good place to start. Foods like leafy greens, beans, nuts and seeds can help boost your levels of this mineral. However, studies have shown that many people may not consume an optimum amount of magnesium. The Recommended Daily Allowance (RDA) for magnesium for adults is between 310 and 420 milligrams per day.2 Supplementing with Natural Vitality CalmTM will help support healthy levels of this foundational mineral. 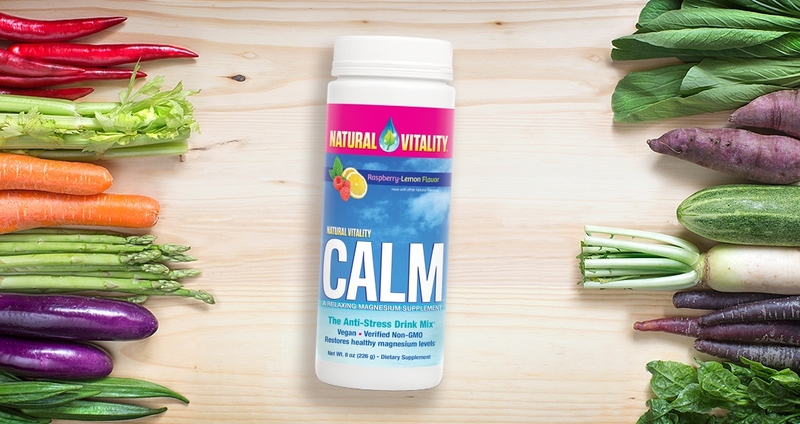 Natural Vitality CalmTM features a proprietary formula that provides absorbable, water-soluble magnesium in ionic form (having molecular charge that allows the mineral to easily bond with water), so it is ready to go to work right away. 1. Hruby A, et al. Magnesium intake, quality of carbohydrates, and risk of type 2 diabetes: Results from three U.S. cohorts. Diabetes Care. 2017;doi:10.2337/dc17-1143. National Institutes of Health. Office of Dietary Supplements. “Magnesium Fact Sheet for Health Professionals.” https://ods.od.nih.gov/factsheets/Magnesium-HealthProfessional/.